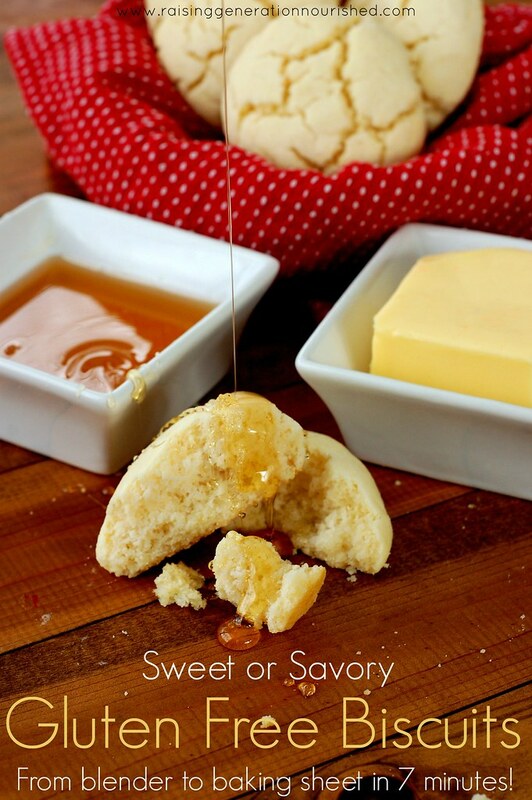 Sweet or Savory Gluten Free Biscuits :: From Blender to Baking Sheet In 7 Minutes! I really think everyone should have a good, basic biscuit recipe in their back pocket. There is a reason the idea of breaking bread with family resonates with so many, and I think it’s because bread brings a warming comfort to the table no matter the meal. 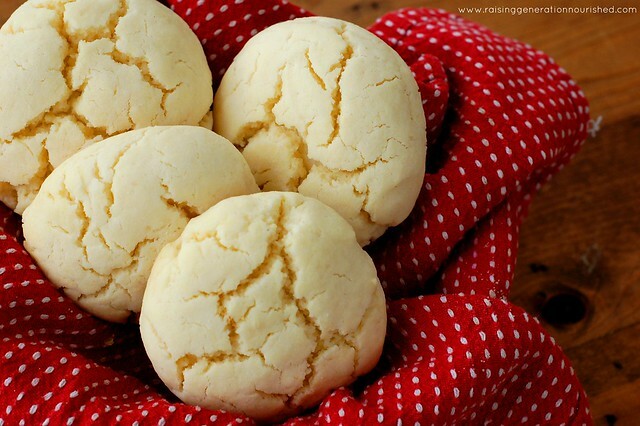 One of the reasons I have gotten my biscuit recipe so perfected is because we are a gluten free house. Gluten free bread is so pricey and just not in our budget most of the time. And it is really fussy to make a loaf of gluten free bread. I like having something like bread to go with soup, but I also don’t always have a ton of time to spend in the kitchen. The goal when I created this biscuit recipe was quick and convenient. Something I could do when I decided at 3pm that dinner is going to be a bowl of soup and bread…I’m such a planner you know. My favorite part about this recipe is that you can literally dump it all in the food processor and scoop it onto the baking sheet in about 7 minutes! Most of the time I don’t even take the time to roll nice, neat little balls – you really can just make it like a “drop biscuit” – I love the feel and look of an imperfect shaped biscuit anyway! The recipe is quite forgiving and you can make the biscuits the size and shape you want. Since I have little hands eating them, I like to make them pretty small – they don’t like the idea of me having to “halve” their biscuit! They want one all to themselves! When I make them small enough for the little hands in my house I can get a little over a dozen biscuits out of this batch. 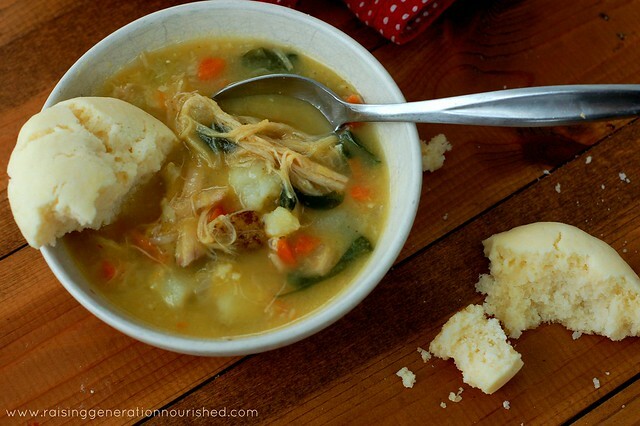 I usually have leftover soup to serve the next day so it is a great amount to serve both days for my family of 5. Or to have in the morning with breakfast. If you have ever tried gluten free baking before, you know that it is really easy to make things feel like a brick. 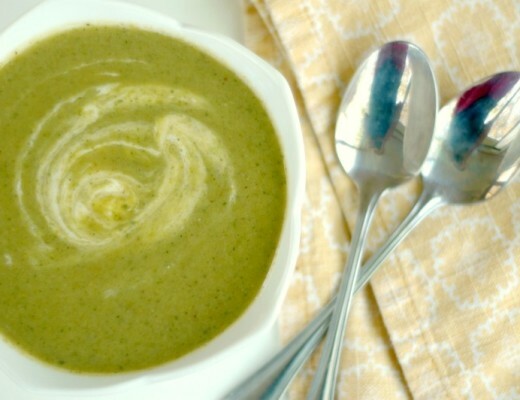 I promise these are light and fluffy – you will feel like you are having the real deal. 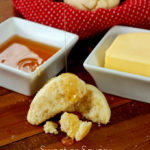 The flavor of the biscuits is buttery and satisfying, but neutral enough that you can use them both for dunking in your bowl of soup, or serving at breakfast with butter and honey. Product links in this section are affiliate links. It does not cost you anything and helps maintain the free information on this site, as well as answer the questions of “what brand do you use!” Please know I would never personally recommend any product I wouldn’t use on my own family. Necessity is the mother of invention. Gluten-free biscuits are really expensive so making them myself became a priority. 1 TB apple cider vinegar You won’t taste it – I promise! It helps with the rise so don’t leave it out! Everything into the food processor and pulse to get it going then combine all the way – start with the ¾ cup on the milk and then add more if the dough is dry – the dough should gather into a ball all together within a minute or two of blending. If the dough isn’t gathering just add the rest of the cup of milk. 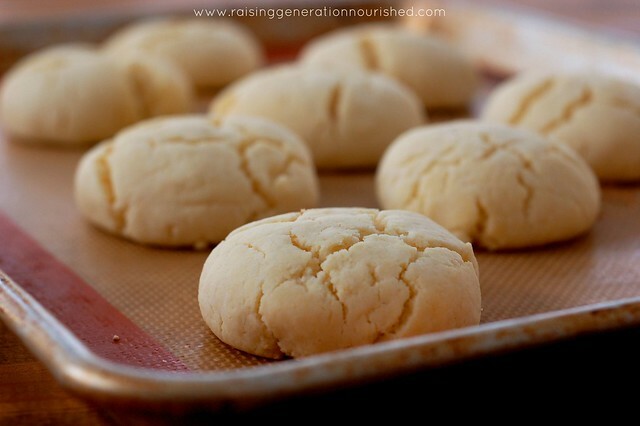 Roll into balls and flatten how you want them OR just drop them quick on a Silpat or parchment paper lined baking sheet. They will turn out either way – rolled or dropped. Bake at 425 degrees for 8-10 minutes. Let them cool a few minute before serving. Keep me posted how the family likes them with their breakfast and/or dinner! 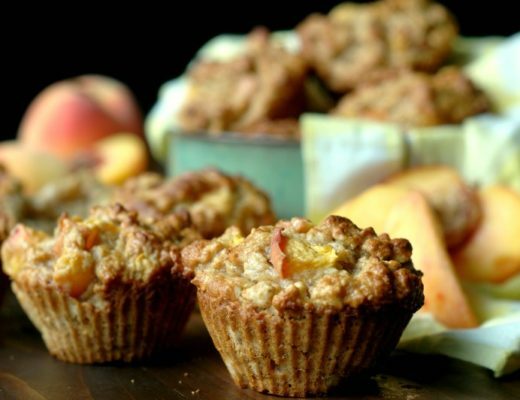 Gluten Free Peaches and Cream Baked Oatmeal Cups :: Baked Oat Muffins To Go! 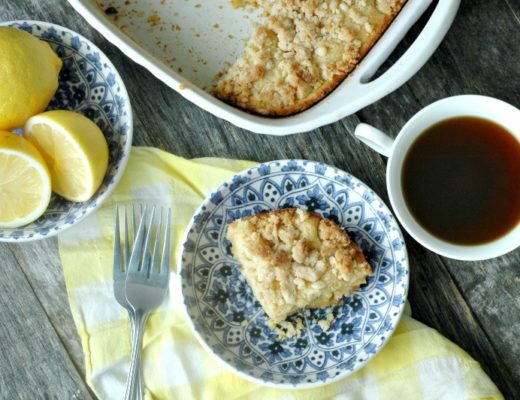 Gluten Free Lemon Coffee Cake :: Paleo Friendly & Honey Sweetened! I love how your recipes are so versatile and how you list all kinds of substitutions for those who can’t tolerate a certain food. I have a question about rice. I find in the GF world it is easy to overdo it on rice- rice pasta, rice crackers, rice in baking….And it is because of the amount of arsenic that is found in rice that I wish to reduce how much rice we consume. Do you have a flour alternative for rice that you are happy with? Thanks…. What about coconut flour? Do you think that would be a good substitute for the rice flour? Hi Stephanie! No, coconut flour behaves really differently than rice flour so it would take some playing around with amounts of everything else to make that work. I hope that helps! I have been craving biscuits! These look delicious Renee! Mmm I could go for one right now with some pasture butter and honey. I don’t have white rice but I do have brown rice flour. Can I use it instead? Also are you concerned about the arsenic in rice? I know you have done your research so I was just curious about your opinion? Thanks! Cant wait to try them! We have rice about 2-3 times per week – not daily, so I don’t worry about the trace amount that there might be in the flour. When I buy rice I buy a long grain organic white jasmine or basmati because those have the lowest amounts, and white rice also digests better than brown rice (which is why you will usually see white rice in my recipes more than brown). Anyway – I hope that helps a little 🙂 Great question – thanks for asking! Made these today for my biscuit lovin’ pre-teen who is home under-the-weather. I have a similar recipe – but these were a touch lighter. I made 8 because my boys like MORE 😉 – but they fell apart easily and took about 14 minutes to bake – SO that shared, smaller in this case may be better so they hold up better? Is that what you’ve found Renee? 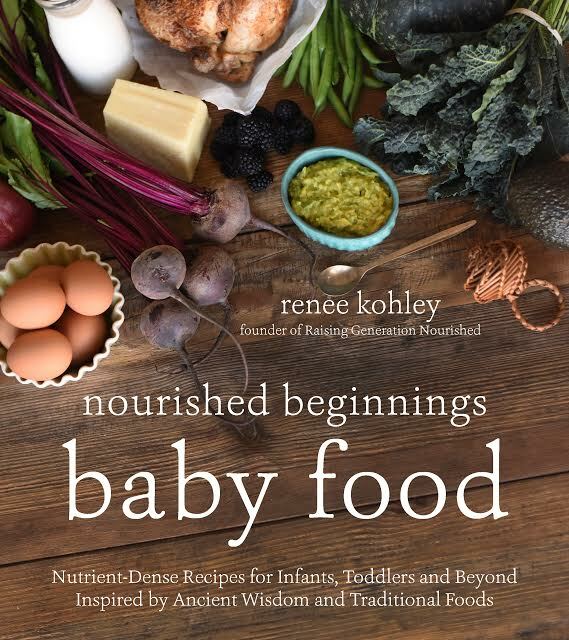 Anyway – great recipe and gorgeous pics! Thanks for the feedback Lydia! 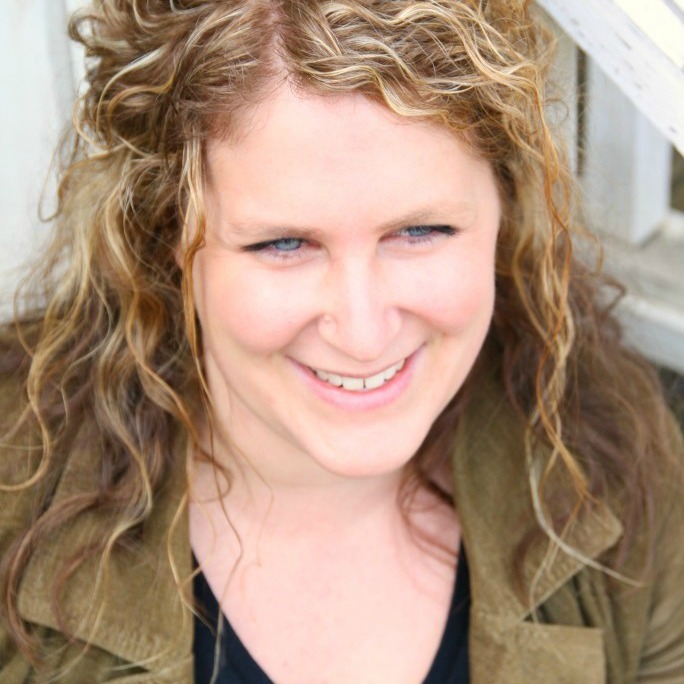 I have never had a falling apart issue with them so yes it could have been the size – longer bake time is very much going to dry out gluten free goods I have found – so dried out is going to equal crumbly. Renee these look just perfect! These are beautiful and such comfort food!!! I loved them as a kid with honey, so much! I like that the recipe is versatile because now I’m more inclined toward having them with butter and soup! Thanks for the recipe Renee!! I’m thinking of substituting tiger nut flour for the potato flour. Everything else we can have. Your photos are the best! Awesome – yeah I’ve made a few bricks in my day 🙂 I think you will like these! i am also diabetic so watch my carbs. Do you have nutritional info? I love making homemade biscuits. We aren’t gluten free but I will try these next time we host a brunch w friends who are! Great Jennifer! I think they will like them! Can you make them without a food processor? Hi Marianne! Yes for sure. Just blend with hand beaters or use a fork or pastry cutter to help cut in the soft butter. I hope that helps! 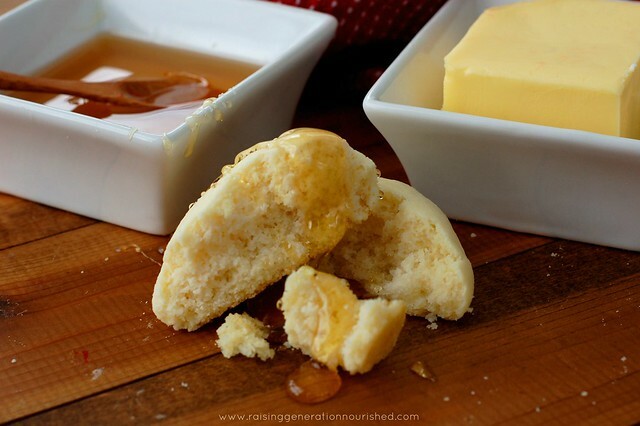 These look so amazing, especially with butter and honey. I’m drooling over here. Is there a substitute for cream of tartar or is it safe to omit it altogether? Hello! I tried this recipe with sorghum flour instead of rice flour and these turned into pancakes! I’m not sure where I went wrong :-/. They taste delicious but are far from looking like a biscuit. Would love to know your thoughts, thanks! Hi Melissa! Oh bummer! Sorghum flour behaves differently than the white rice flour in baking most of the time so it might just not work in this recipe – I’m thinking if they turned out more like a pancake that you might need more flour when using sorghum – which is typical in recipes that I have played around with sorghum. So as long as you are sure you didn’t change anything else in the recipe, I’m thinking maybe increase the sorghum flour amount so they aren’t as runny. I hope that helps!